Check out the latest Love Goodly Coupon on My Subscription Addiction! Love Goodly Black Friday Deal – Holiday Bundles Available Now + 25% Off Shop Purchases! Love Goodly Coupon – 50% Off the June Box! Love Goodly Coupon – $15 Off Your First + $15 Off Your Second Box + FREE Uniful Mascara! Love Goodly Mother’s Day Bundle – Two Boxes For $49.99! Love Goodly Coupon – FREE Gift of Your Choice With Subscription! 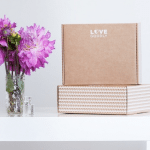 New Subscription Box Alert: Love Goodly VIP Box + Exclusive Coupon Code! Love Goodly Coupon – $10 Off Your First + $10 Off Your Second Box! Today Only! Love Goodly Coupon – 25% Off Subscriptions! Love Goodly Limited Time Coupon – 2 Free Gifts PLUS $3 Off! Love Goodly Coupon – $10 Off Your First Box + Free Eyeliner! "I just got my April box and was really disappointed to not get the Anastasia lip color OR the Laura Geller eyeli..."
"I didn’t see Sunday Riley as an Ipsy option this month. I’ve received the A+ from Allure and Test Tube."